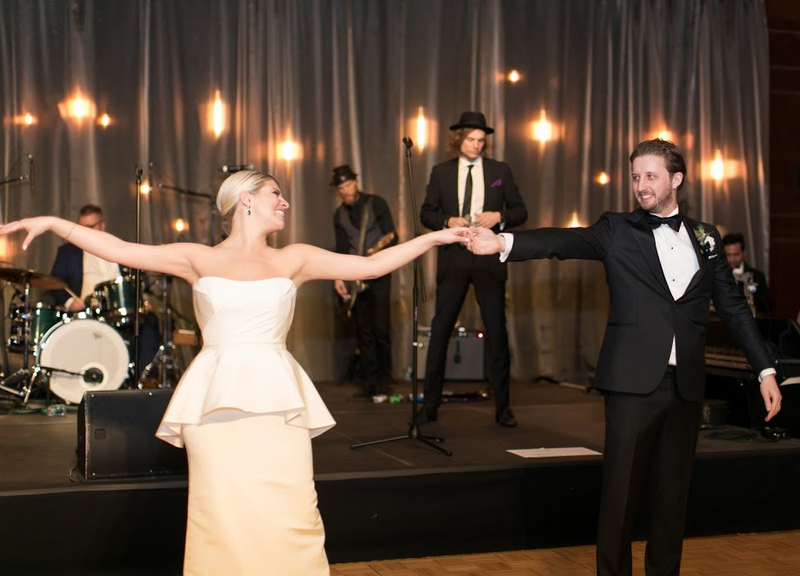 With world-class talent and effortless style, this party powerhouse transforms every event—from rustic winery weddings to luxe urban soirees—into larger-than-life experiences. At an A-Town party, you’ll have more fun in a few hours than you’ve had in years. 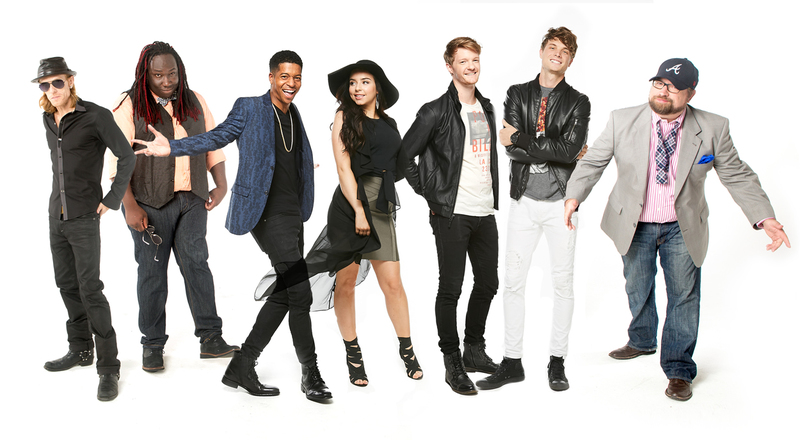 Playing amazing events all over the Southeast and around the entire country since a 2010 debut, The A-Town A-List is a carefully curated combination of performers with impressive musical, vocal, dance and theatre experience. With resumes th . . .
Mo' Money, Mo' Problems - Notorious B.I.G. 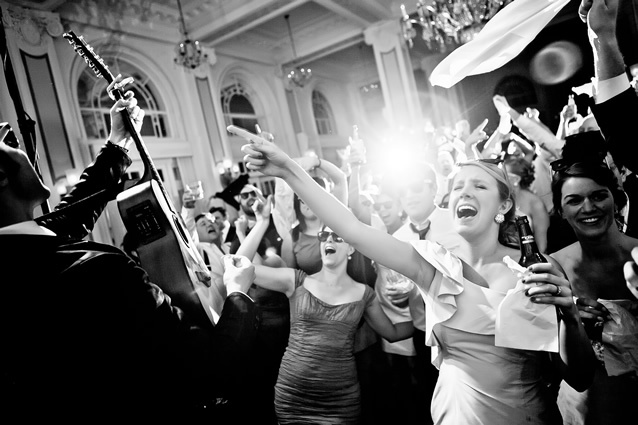 With world-class talent and effortless style, this party powerhouse transforms every event—from rustic winery weddings to luxe urban soirees—into larger-than-life experiences. At an A-Town party, you’ll have more fun in a few hours than you’ve had in years. Playing amazing events all over the Southeast and around the entire country since a 2010 debut, The A-Town A-List is a carefully curated combination of performers with impressive musical, vocal, dance and theatre experience. With resumes that include performances alongside the likes of Bruce Springsteen, The Black-Eyed Peas, and Stevie Wonder, the band members each bring to the stage a combination of unique talents. 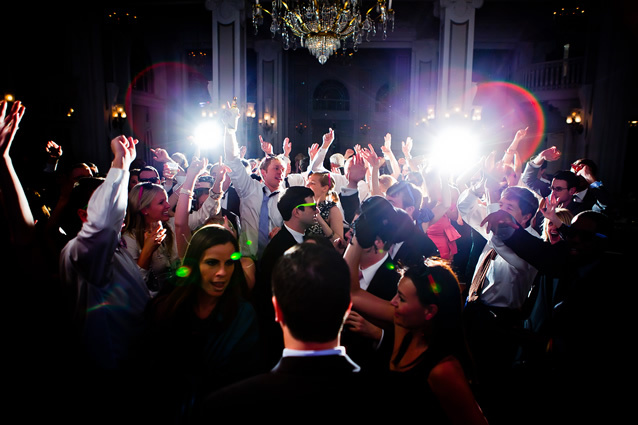 Together, they form a magnetic energy that will entice every partygoer to the dance floor. A-Town A-List performances are designed to build momentum and end with a bang. With intuitive timing honed through years of on-stage experience, these performers are more than just musical artists; they are experience artists. The band knows exactly when to evoke just the right tune to keep the party going strong: from timeless classics to modern hits, from groovin’ funk to soulful, slow-burning ballads. And all three singers’ performance chemistry is infectious, evoking the emotional delivery of nearly every fan-favorite of the past 60 years ...from Bruno Mars to Frank Sinatra, and from the Beatles to Katy Perry and Beyonce. On a personal level, the performers in The A-Town A-List know they’re lucky to celebrate life’s brightest moments with their clients. This band sets the standard for a new type of entertainment: one that blends fantastic live music, undeniable performance artistry, personal charisma, and authentic kindness to create extraordinary experiences. From: Howard Tescher Date: Tue, Apr 2, 2019 at 8:34 AM Subject: Re: The A-Town A-List To: beth@samhill They were EXCEPTIONAL! Almost every guest came up to me or my wife to rave about the band. Our entire experience, including Sam Hill, was VERY positive. Thanks again. From: Craig Carter Date: Tue, Jun 12, 2018 at 8:28 PM Subject: Re: The A-Town A-List To: Beth Treschitta As the father of the bride and the one paying the bill – I would do it all over again!!!! The band was absolutely amazing. Actually tonight my wife and I were talking to some very close friends and we are trying to come up with a reason to book the band again!. Thank you a million. They were absolutely amazing. From: Sarah McCollum Date: Thu, Oct 20, 2016 at 7:19 PM Subject: Re: The A-Town A-List To: "Beth @ Sam Hill Hi Beth - Thanks for the congratulations! I honestly CANNOT say ENOUGH WONDERFUL AMAZING things about the band!! Like I wish we were friends with all of them and could hang out, they are so fun, cool, talented, lively, and they kept people dancing the whole night through. Just when we thought it couldn't get better they would play something else and mix it up and seriously no ONE wanted to leave the dance floor!! They were INCREDIBLE!!! And the best decision we made the whole wedding (outside our venue and planning team)!! Our guests have not stopped talking about how amazing and fun and how they were the best wedding band they have ever heard (which is why we picked them of course; duh; haha). Nick and I are praying we keep up our hard work and careers up so we'll have another excuse to throw another massive party/event and invite these guys back to play at it!!! Seriously. The band was perfection, the night was perfection!! We're so thankful we found them and locked them down for our big day!!! ---------- Forwarded message ---------- From: Lily Etemadi Date: Mon, Feb 22, 2016 at 9:53 AM Subject: Re: The A-Town A-List To: Andrew Juge Good Morning Andrew! They were WONDERFUL!! Professional and flexible from the moment they got on site to the time they packed up and left. They kept our crowd rocking out and were so incredibly gracious. GREAT time all round and I am going to encourage next year's chair to hire them again.... Appreciate your help making all this happen! From: Kim Horne Date: Mon, Nov 23, 2015 at 8:14 AM Subject: RE: The A-Town A-List To: "Beth @ Sam Hill Beth- Tthe band was FANTASTIC!!! We had so much fun and all the guests enjoyed dancing and have told me that it was one of the best weddings they have been too !! From: Cole Sent: Wednesday, April 23, 2014 11:26 AM To: Andrew Juge @ Sam Hill Entertainment Subject: Re: The A-Town A-List Hi Andrew! A-Town A-List was amazing! People are still asking and talking about how awesome they were! I'm not much of a dancer and they had me on the dance floor most of the night! Our favorite was "thriller" so fun!!!! I would definitely love to hire them a again for one of my fundraisers!!! Nicole Scontrino Cole + Co.
From: Tiffany Burgher To: atownalist Sent: Thursday, April 3, 2014 8:14 AM Subject: Re: thank you! 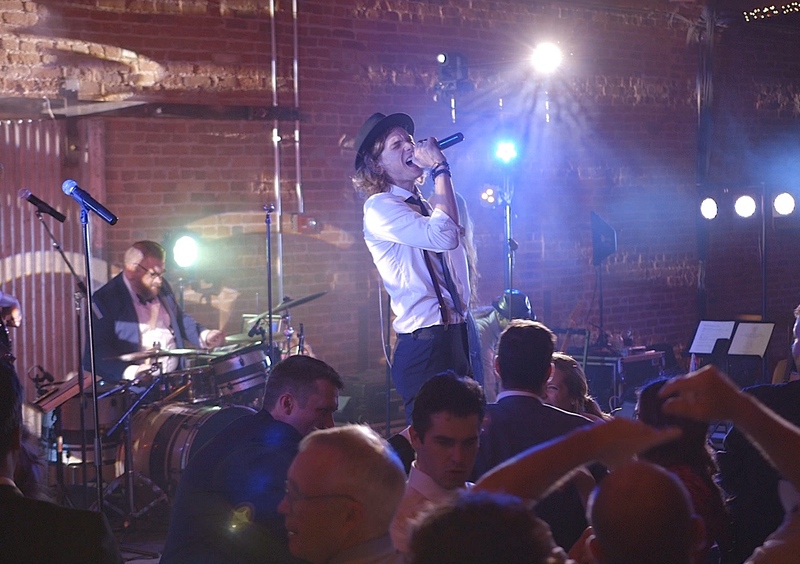 Ryan, Your band was PERFECT for our reception! We are not a subdued bunch and were thrilled that we didn't get the regular old wedding type band. We purposely cut out some of the corny old songs like YMCA, etc. and stuck to most newer music and the crowd went wild. Also, the band was VERY patient with all our stage rushers and dancers which meant a lot to us. I have already had calls from friends requesting info on the band for future parties. Thanks for helping to make our wedding most memorable! 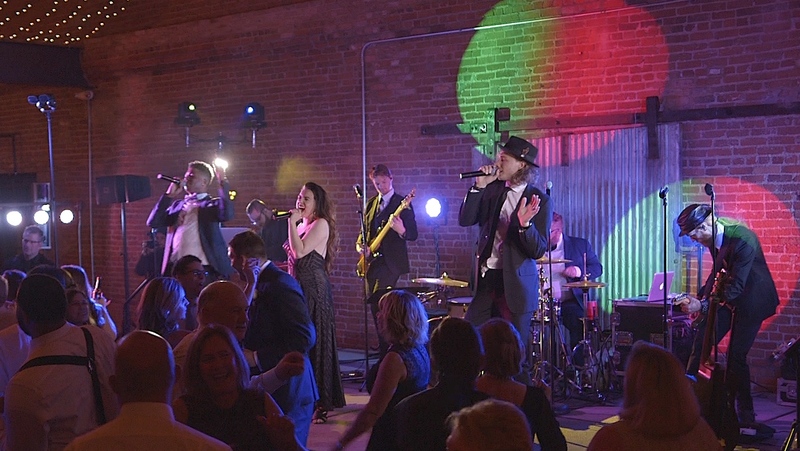 A-Town band exceeded all our expectations on providing entertainment and dancing music for our daughter's wedding! 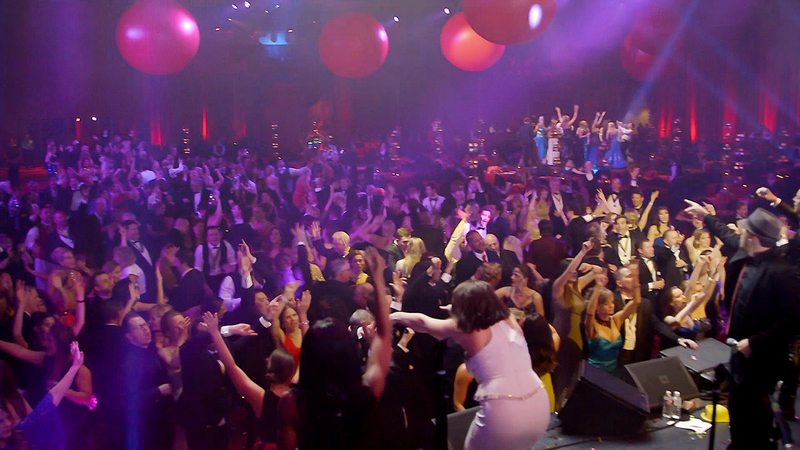 There was not one person sitting down during the reception...there was a whole lot of getting down on the dance floor! We had so many compliments from both the young and old on how incredible the band was! One guest said he had not danced that much in fifteen years! The bride and groom said they could not of asked for more in their wedding band and that critique is the most important one! 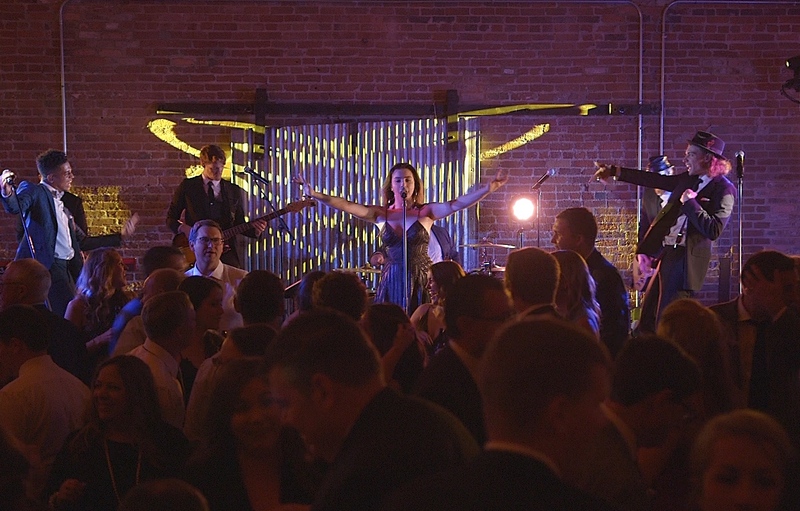 The band truly made the reception a fun filled, unforgettable wedding reception for all!! I have a younger daughter and I will definitely use A-Town again! From: Shivers, Jonathan Sent: Thursday, November 15, 2012 8:57 AM To: Hank Wells @ Sam Hill Entertainment Subject: RE: The A-Town A-List Hank, The band was fantastic again! We have had a TON of compliments on them from our clients and prospects. Thanks so much for everything. I am back in the office today and will get your remaining check cut and mailed out to you this week. Thanks, Jonathan Jonathan Shivers Channel Manager Navicure, Inc.